The UK's financial watchdog is consulting on guidance as it begins the process of defining which cryptoassets it will be responsible for regulating in a market that poses "substantial risks to consumers". Following pressure from Parliament, the Financial Conduct Authority (FCA) launched a comprehensive consultation on how regulation should be applied to everything from cryptoassets and the exchanges on which they trade, to payment companies, wallet providers and the brokers seeking to benefit from the market's growth. In September, the Treasury Committee described the market as the "Wild West" and called for more consumer protection. "Cryptoassets pose a range of substantial risks to consumers, which stem from consumers purchasing unsuitable products without having access to adequate information." Cryptoassets, such as Bitcoin, have been driven into the regulatory spotlight by the market's high levels of volatility combined with unregulated marketing, creating potential consumer protection concerns. The guidance is aimed at helping firms understand whether their cryptoasset activities fall under FCA jurisdiction. The FCA said: "Cryptoassets pose a range of substantial risks to consumers, which stem from consumers purchasing unsuitable products without having access to adequate information. "This can include fraudulent activity, as well as the immaturity or failings of the market infrastructure and services." It added there is "limited evidence of the current generation of cryptoassets delivering benefits" but acknowledged "benefits may arise in the future", particularly with regard to DLT. Specifically, the FCA's latest consultation focuses on where cryptoassets would be considered "Specified Investments" under the Regulated Activities Order, "Financial Instruments" under MIFID II, or if they come under the Payment Services Regulations or the E-Money Regulations. The FCA said its final guidance "will enable firms to understand whether certain cryptoassets fall within the regulatory perimeter", giving "increased certainty around their activities while meeting our own regulatory objectives of consumer protection, enhancing market integrity and promoting effective competition in the interest of consumers". It also confirmed the Treasury will also be publishing its own consultation paper in early 2019 , which will explore "legislative change to potentially broaden the FCA's regulatory remit to bring in further types of cryptoassets". The regulatory perimeter includes specific activities and investments set out in the RAO and the Financial Services and Markets Act (FSMA). Providing advice in relation to a specified investment, such as a share, may amount to the regulated activity of 'advising on investments', which would require FCA authorisation. 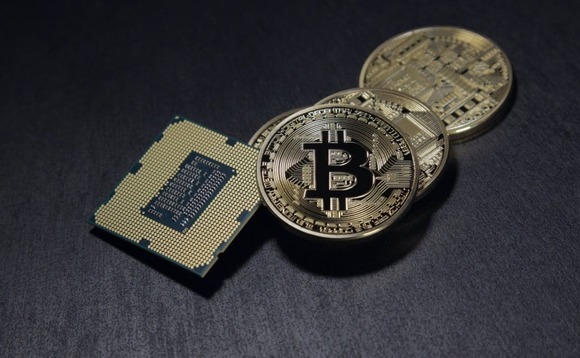 However, the fact that a cryptoasset is acquired for value (in exchange for a certain number of cryptoassets or for payment in fiat currency) does not necessarily make it a Specified Investment under the RAO, the paper clarifies. The FCA therefore hopes its guidance will clarify which cryptoasset activities will fall within this regulatory perimeter. "The FCA is being understandably cautious about giving any form of regulatory endorsement to crypto-assets and points out some of the harm that has arisen from them, such as the high percentage of ICOs that have turned out to be scams and the significant amount of theft from crypto-exchanges," Nick Bayley, managing director, Compliance and Regulatory Consulting at Duff & Phelps, said in a statement. "Many technology firms in the crypto space are looking for the regulatory stamp of approval but the FCA's consultation makes it clear that there are no short cuts to being regulated in the UK, simply because the technology being used is innovative and different. The FCA repeats that it is ‘technology neutral' in terms of how it looks at the regulatory perimeter and the requirement for authorisation." "The potential for disruption and disintermediation that arises from DLT and crypto-assets is plain but the FCA, as the regulator of one of the most important financial services markets in the world, is not going to throw open its doors to these new technologies at the expense of UK consumers being harmed or UK markets being disrupted," he added. The consultation ends on April 5.